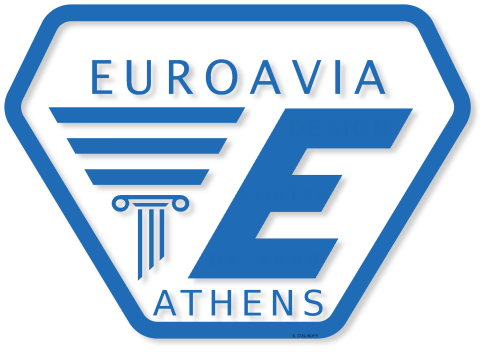 One of the primary targets of EUROAVIA Athens is to connect its members with the aerospace and aeronautics industry. In order to achieve this goal, we organize visits to companies that are related to the previously mentioned fields or the mechanical engineering field in general. We are trying to make this initiative as inclusive and useful as possible for the EUROAVIAns. Therefore, the timeline of these visits includes guided tours at the companies’ facilities, Q&A conversations, workshops etc. It is notable, that in many of the company visits are open for the whole academic community of NTUA to participate. Of course, some of our activities and tours are exclusively organized for the members of EUROAVIA Athens. Hellenic Aerospace Industry HAI (27/03/2018 & 18/04/2018): The industry’s vision and activities were presented by Mr. Stavrianakis, communication & public relations director of HAI. The presentation followed a guided tour at each part of the production line accompanied by a conversation with each sector’s chief mechanic and ended at the laboratory of composite materials. At the end of our visit we were informed about the career opportunities that the company offers to graduates. Aegean Airlines (17/05/2018): Guided tour at the maintenance facilities of the company during which we had the opportunity to observe the airplanes’ engines from a very close distance. Conversation/Q&A with Mr. Theodore Vasileiou, Base Maintenance Coordinator, who informed us about the safety regulations and the procedures that are followed during the selection, check, and maintenance of the airplanes. Lastly, there was a presentation of the career opportunities that the company offers to graduates and the skills they seek when choosing an employee. We intend to organize as many visits, workshops and out-door activities in general, as possible during 2018-2019 in order to get in touch with even more companies related to our field of interest. Stay tuned!